As a Spanish friend of mine pointed out, when most people go into a cathedral, they don’t know what they are looking at. He was referring to León Cathedral in the city in Spain where he was born. Even a professed atheist like Javier can't help but submit to the power of a European Gothic church, particularly the power of the light filtering through the enormous stained glass windows of ruby reds and sapphire blues. That light is the manifesto of Gothic cathedral architecture as envisioned by Abbot Denis Suger, who is credited with popularizing the Gothic style in Europe. He saw the light as a way to emulate being in heaven. His “light of Divine essence” in a Gothic church filters through the many-colored windows and creates with it a glow not quite of this world. The light has been likened to the Word of God. The power of gems adorning altars also had to do with their ability to give off light and glow from within. Mazatlán, where I live, has a cathedral too, although I’m not sure how it ranks with the others since it was completed so much later than the more famous ones in Mexico. Many of the cathedrals built later than 1700 were parish churches converted as populations grew. Inevitably, if you visit or live in Mexico you will be faced with a Mexican cathedral and think it is quite beautiful. What else should you know? Like all cathedrals, a Mexican cathedral’s high vaulted ceiling is meant to create a microcosm of the heavens and strike the worshipers with awe at the power of God and creation. Again light, both natural and an extensive repertoire of lanterns, torches and candelabras are designed to lend even more drama to church interiors and exteriors by day and by night. Facades and retables* in cathedrals are planned to lead the eye to distinct points of emphasis. You can’t separate Mexican cathedrals from their Spanish roots, and many of the workers on the Mexican cathedrals actually did come from Spain, which sought artistic conquest of Mexico as well as religious and economic. A Spaniard, Lorenzo Rodriguez played a dominant role in vice regal architecture in Mexico, which is sometimes dubbed “Ultra Baroque," or Mexican Churrigueresque. Building materials in the New World were different. Reddish pumice, grey white limestone of Mexico City, the green brown stone of Oaxaca, washes of green and pink in San Miguel, pink trachyte of Morelia and the man-made tile for which Puebla is known make Mexican cathedrals distinct from European counterparts. Like a child’s relation to a parent, sometimes Mexican architects and craftsmen responded to a different set of values. Local artisans had to adapt their style to their native skill, leading the very word “colonial” at one time to be considered a pejorative rather than the positive connotation it's given today in travel brochures. Mexicans were more into the surface design than sculpture. Paintings idealized religious figures rather than carry over the realistic (and sometimes scandalously graphic) representations of medieval life you’ll find in European Gothic cathedrals. Major Mexican church architectural periods go from 1530 to 1810. They include the Plateresque period, named for work of Spanish silversmiths in that era, going from 1530 until 1580, the Baroque period going from 1580 to 1630, the Ultra Baroque from 1630 to 1790 and finally the Neo-Classical period from 1790 to 1810 and later. Mexico had a surprising preoccupation with the concept of grandeur, La grandeza mexicana, which accounts for Baroque’s long predominance in Mexico. Baroque style is characterized by towering silhouettes and dazzling facades and retables. The style has always been defined as ornate, wild, eccentric and inharmonious - just as you might define Mexico. The term “Ultra Baroque,” a somewhat contested term for the later period of Baroque in Mexico. It is a style specific to Latin America. The phrase Ultra Baroque is a metaphor for the region’s complex ethnic and artistic racial composition rather than meaning "more of," or “beyond Baroque” as many assume. There were two basic compositional arrangements in vice regal Mexico when the major cathedrals were built. On the more ambitious facades you see various motifs associated with the estípite, a type of column with turned down spirals and elaborate carvings which are essentially Renaissance Italian, with a splash of Rococo added to later ones. On less ambitious facades, you’ll see a narrow stepped composition with the higher levels progressively narrower than the lowest level. These are more Islamic, influenced by designs in Seville and Granada in southern Spain. The interior ornamentation with depictions of heads of angelic children, plates of fruit, garlands along with the design of columns is essentially Renaissance. Sometimes styles clash jarringly, with some sculptures and paintings emphasizing a terrifying realism, like the use of actual teeth and hair and glass eyes. Gilded wood was another interior fashion specific to Mexico. The word “mestizo,' which has also been used to describe Mexican cathedrals, is a term traditionally used in Spain and Latin America to mean a person of combined European and American Indian descent, or someone who would have been deemed a Castizo (one European parent and one Mestizo parent) regardless of where the person was born. Over time, the brilliance of Mexican architecture became it’s gift for mixing fashions and ornamental sources in a single building, giving the word mestizo a quality in a wider sense of the word. * A retable is a structure or element placed either on or immediately behind and above the altar or communion table of a church. Sources: "The Churches of Mexico 1530-1810" by Joseph Armstrong Baird, Jr. and "The Gothic Cathedral" by William Swaan. Next up: Big, expensive cities in the U.S. are exciting. So are less expensive Mexican ones. Most recent: A recent trip back to Denver reminded me that sometimes the United States hurts too much to watch. 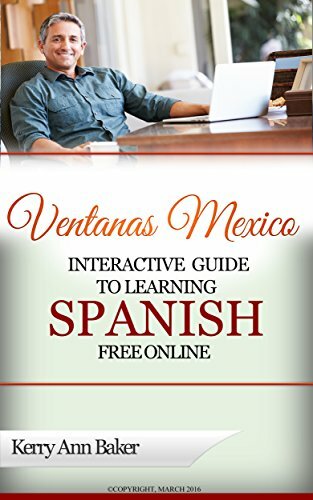 Hola, I'm Kerry Baker and author of "The Interactive Guide to Learning Spanish Free Online," an amazing journey through the web for the best, most effective tools to learn Spanish on your own, on line conveniently organized into lesson plans. I use the guide practically every day and find the variety keeps me studying. The book's interactive links take you straight to features and sites buried by search engines but better than anything you'd pay for. To study from here or abroad, use it with your e-reader, laptop or tablet, like the new Amazon Fire. All necessary for the expat who needs to keep their luggage light. If in the market for a laptop, take a look at the Acer Aspire. Slim, lightweight and elegant, it's perfect for travel. 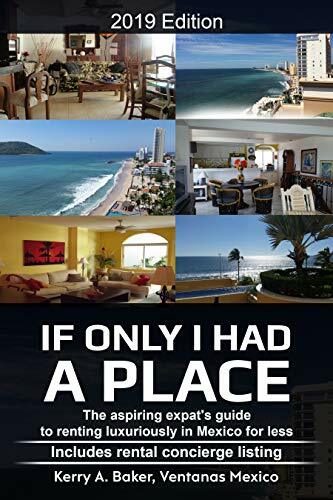 Recently released, "If Only I Had a Place," a guide to renting for the aspiring expat. Renting in Mexico is different. Rent like an insider. Live well in Mexico by learning the pitfalls and promise of renting the right place at the right price.